In today's society, one of the trending topics that's been extremely important and relevant for several years now is "going green". "Going Green" is typically associated with producing environmentally friendly products as well as recycling materials, so as not to overfill our landfills with products that never break down. It also represents individuals making ecologically responsible decisions in their lifestyles and choices. This hot topic can be interpreted in several ways in its meaning from one individual to another, as well as from one company to another. In addition, there are no federal regulations that require a company or individual to follow "green" initiatives. For the most part, it's voluntary and responsible decisions that keep this "green" initiative alive. At BirdStoppers, we take this green initiative very seriously and do our part to protect the future of our planet for the following generations. We make sure that the products we represent online are environmentally safe, humane, non-toxic and whenever possible produced from recycled materials. We believe helping the environment starts at home. We do our part to eliminate the use of paper in the workplace, as much as possible, by storing documents and files electronically instead of printing. We've eliminated as much snail mail communication as possible with our customers and suppliers. Most of our written communication is done electronically. We save old batteries and drop them off at the local recycling program. Old electronic equipment and computers are donated to local charitable organizations. 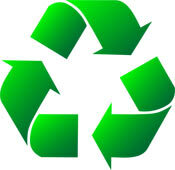 We separate and recycle glass, paper, cardboard, plastic and aluminum. Nature's Defense Organic Animal Repeller is an environmentally safe product which contains an organic active ingredient to repel rats, mice, deer and other pests and critters. Bird Stop is a food grade taste aversion repellent that deters birds from feeding in grassy areas. It does not harm birds, but makes the surrounding area unpleasant for them. Bird Shield leaves no residue and organically breaks down over time. Our Bed Bug Alert Monitors trap bedbugs successfully without using any pesticides or insecticides.